The Vandalia Division of Police is seeking the public’s assistance in identifying a suspect who robbed the Speedway on E. National Road. 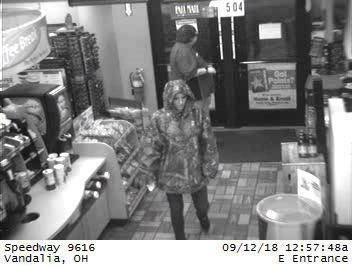 VANDALIA — The Vandalia Division of Police is seeking the public’s assistance in identifying a suspect who robbed the Speedway on E. National Road. 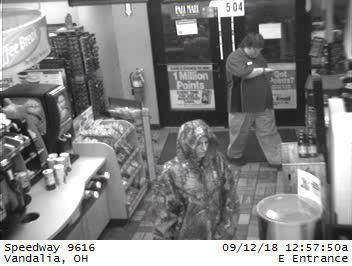 The robbery occurred just before 1 a.m. on Wednesday, Sept. 12. The female suspect fled on foot after the robbery. 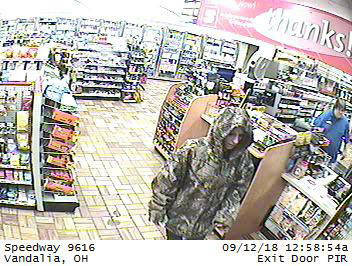 Anyone with information on the suspect’s identity is asked to call the Vandalia Division of Police at (937) 898-5868.